Written and directed by John Carney, the man responsible for Once, Begin Again is an enthusiastic musical drama/romantic comedy that embraces the role that music, and collective inspiration and creativity, can have in the emotional rehabilitation of people who are need of a fresh start. Mark Ruffalo is the kind of actor who oozes carefree charm and utilizes natural mannerisms to give his affable characters added humanism and complexity. 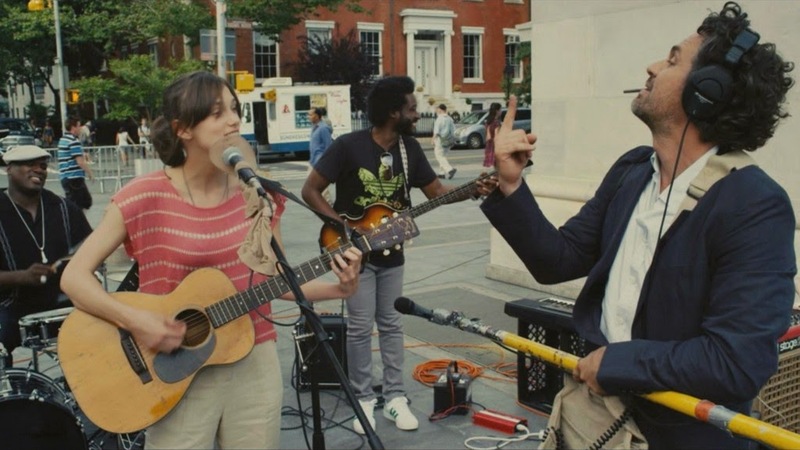 In Begin Again, like many projects before, he makes everything look easy, and he always seems to play characters I end up being a little jealous of. Ruffalo-led films, with the exception of last year’s terrible Thanks For Sharing, rarely go sour, and he is a prominent reason why I enjoyed Begin Again so much. Also convincing is Keira Knightley, who I am slowly becoming a fan of. Though it is dubious to call the musical performances ‘live’, it is Knightley on the vocals and the toe-tapping songs are great. From the opening minutes, we know that Dan (Ruffalo) is currently a shadow of his former shadow. He has a teenage daughter (Hailee Steinfeld) that he never sees, and he has just awoken with a hangover from an epic bender, brought on by the recent termination of his position as an executive of a record label. The label had been struggling, and when he turns up to a meeting drunk, it is the last straw for his frustrated partner Saul (Mos Def). The events of the previous night are revealed in flashback, and it seems there is a silver lining. At one of the bars in the East Village the very drunk Dan is smitten with Gretta (Knightley), an independent singer/songwriter who is planning to leave New York following a break-up with her partner and successful musician Dave (Adam Levine from Maroon 5). Though they write together, and she matches his talent, he has become the star. The song she performs re-ignites Dan’s creative spirit and he offers to sign her to the label, a promise he no longer can guarantee. At first she refuses, but after a change of heart the pair become friends, and Saul is impressed by the demo they bring to him. After recruiting a team of talented musicians, Dan and Gretta decide to record their album at public locations around New York City, grappling with their feeling for one another along the way.